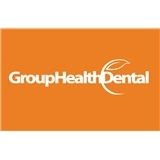 Group Health Dental (New York) - Book Appointment Online! Our mission at Group Health Dental is to deliver a level of dentistry that you can rely on, backed by over 35 years of experience, and complemented by a warm customer care and comfort. We serve patients from Midtown New York, the Tri-state area, and more! Group Health Dental focuses on providing general and cosmetic dentistry and even offers the care of several dental specialties in our 10,000 square foot facility. After our recent remodel and renovation, we are now a full service, high-tech, digital, chart-less office offering the most affordable, high quality, clean, and modern dental service in Manhattan. We are conveniently located in the heart of Times Square. Located across the street from the Port Authority. We look forward to meeting you! Very clean and the wait was short. The guy who took the xrays was very good, patient, and great. I could tell the office was very busy that day. Dr. Robertson wasn't too friendly and seemed a little flustered. Considering I was a new patient you would think she was more interesting in learning about my dental history, however sadly she was not. But I knew she was busy so didn't take that to heart. The hygienist was SO NICE! He also taught me how to keep my teeth clean and healthy which was super useful. The rest of the staff were friendly too!